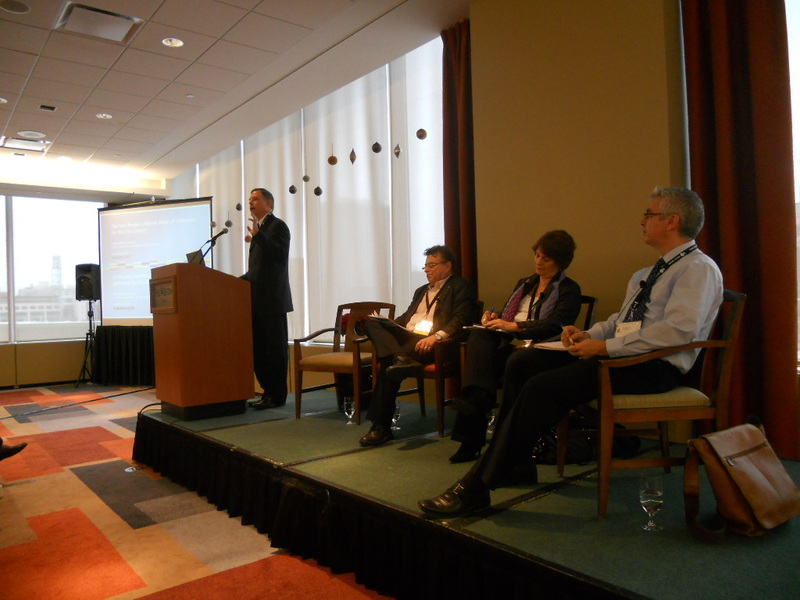 York KMb Unit recently presented at a national conference of university-industry knowledge brokers. Unique to the conference agenda York presented new thinking on gaps in Canada’s innovation agenda. Take home message: It’s time to put the social in innovation. But we’re not sure they will let David dance next year. Innovation in research lingo is most often associated with advancements in science and technology and between university and industry partners to support economic prosperity through new products and services. Historic investments in research and development within Canada have reinforced this. So, it was interesting (and encouraging) to see ACCT Canada (the Alliance for the Commercialization of Canadian Technology) set Mobilization as one of its thematic pillars for their recent annual Innovation 2010 conference in Ottawa. The other two pillars were Connect and Collaborate. And with an opportunity to introduce ResearchImpact, and share the leadership York University has demonstrated in advancing an innovation agenda to support social innovation, David Phipps and Michael Johnny ventured north for three days of workshops, plenary panels and networking. Make no mistake; this is not the traditional audience for ResearchImpact to demonstrate its services as a national network of university-led knowledge mobilization units. All the more reason to be there! With almost 700 registrants present from across Canada and throughout the world, it was a traditional conference for industry liaison offices, technology transfer offices, other professionals and leaders in the university-industry innovation sector. And York University was well represented. Michael Johnny and David Phipps worked the ResearchImpact booth to educate and inform registrants of the work Canadian universities are developing in areas of social innovation through dedicated knowledge mobilization units. We also welcomed Caroline Roger of ResearchImpact-ReseauImpactRecherche (UQAM) at the conference. 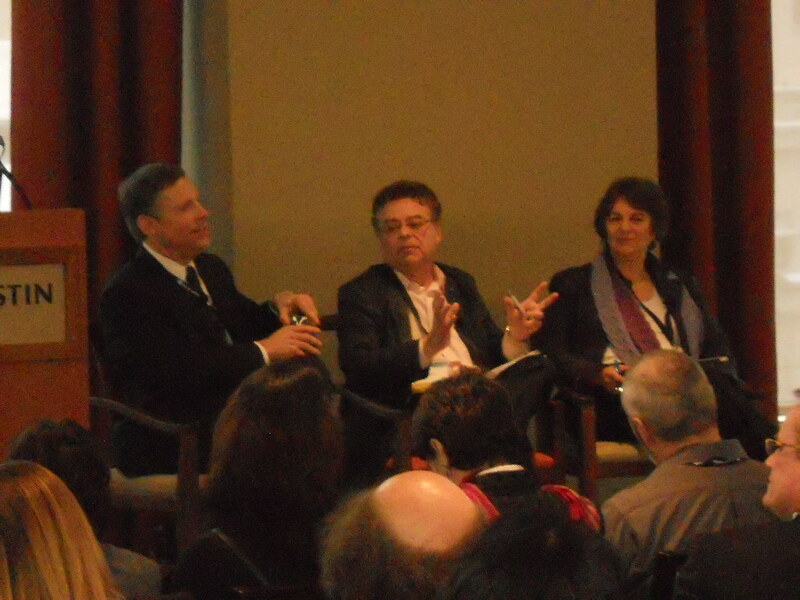 In one workshop, SSHRC President Chad Gaffield, Innovator Gerri Sinclair, and York Vice President Research and Innovation Stan Shapson shared their experiences and vision toward developing a more comprehensive innovation agenda for Canada. An innovation agenda that embraced social innovation as well as innovation for the service industries. This session was moderated by David Phipps. 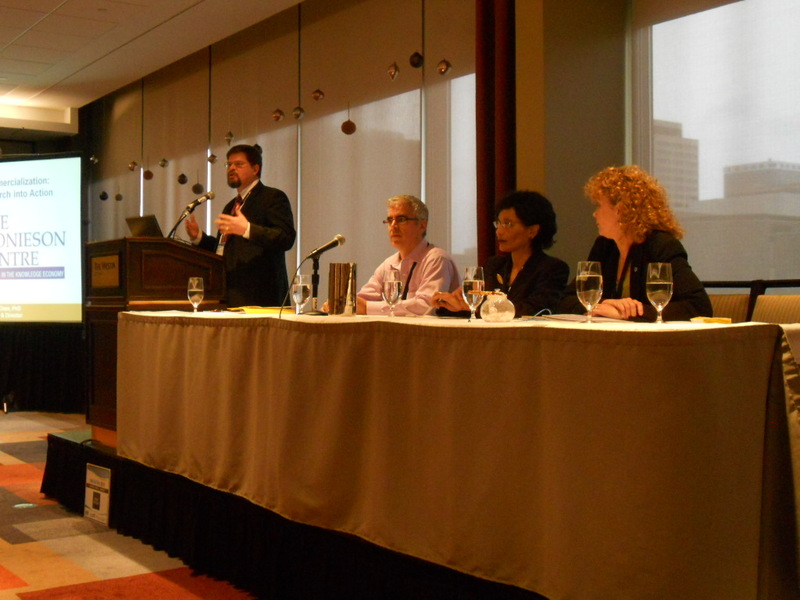 Dr. Phipps did double duty, serving as a plenary speaker in a panel moderated by Knowledge Mobilization consultant Peter Levesque (http://www.knowledgemobilization.net/) titled, ‘Beyond Commercialization: Turning Research into Action’. This panel also featured Yolande Chan (http://www.easternontarioknowledge.ca/) and Bernadette Conant (http://www.cwn-rce.ca/). It was exciting to see efforts around social innovation being well received. This was an extremely important investment for ResearchImpact, a network that continues to be seen as a national leader in knowledge mobilization. With mobilization as one of the central pillars of the conference, it was worthwhile to share the message of social innovation being a critical aspect of Canada’s innovation agenda. When collaborative efforts are made that bring together expertise from a variety of professions -from around the world – to focus on central issues(not necessarily always common to each participant), Knowledge Mobilization is occuring in one of its best forms. Such “social” face-to-face conversations and networking within a conference allows enormous opportunities to provide, exchange, and receive innovative ideas that can be applied beyond the scope of one particular professional. Many conferences and workshops are specifically geared towards only the “professionals” within that field. When conferences and workshops are opened up to include a greater variety of expertise and knowledge, worthwhile and enhanced knowledge is taking place. …now that’s worth dancing about! Thanks for the comments Gary. KMb is a new field and we often have to find other conferences to attend in order to spread the word. Nursing knowledge brokers go to nursing conferences. Education knowledge brokers go to education conferences. Where do knowledge brokers go? To other peoples’ conferences. There’s a gap here. And I’ll dance on any dance floor at any KMb conference any time.